The excavations at the necropolis from 2012 to 2014 raised a number of questions about the wider context of the Panormos landscape and the intensity of usage of the area in the Archaic and earlier eras. In 2015, the Project Panormos team thus piloted an intensive pedestrian survey in the region around the necropolis. 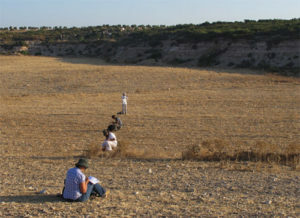 Further seasons of survey were planned to focus on other parts of the peninsula, for example around the hinterland of the Bronze Age harbour settlement on Tavşan Adası (2017 season). 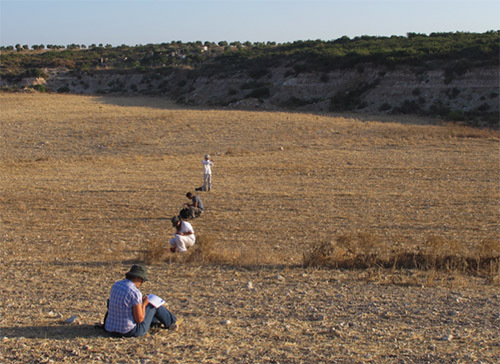 The Panormos Survey project was designed both to create holistic diachronic record of the Milesian historical landscape but also to address the geographical imbalance of intensive landscape research at the interface between Near Eastern and Aegean spheres. As landscape studies of other parts of the Aegean have attempted to nuance or critique our understanding of interaction between inland and sea-facing communities, this survey project aims to insert the evidence from Milesia into a larger narrative of prehistory through modern field survey techniques and open data practices. To place the Archaic necropolis into landscape context. To identify possible locations for contemporary settlement and harbour associated with the necropolis. To understand the long-term changes in landscape morphology in this part of the Milesian peninsula over the longue-durée. To assess the degree to which coastal prehistoric settlements were isolated sea-facing centres or associated with an inland hinterland. To place the scattered finds of prehistoric remains from earlier work in the region into a denser picture of occupation. 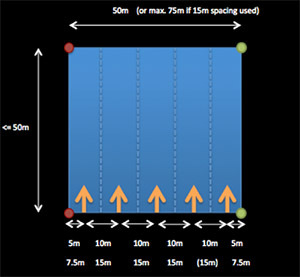 Intensive pedestrian tract-walking was used to create find density data (including areas where there were no finds) for further spatial and chronological analysis. T. C. Wilkinson – A. Slawisch (2017). Panormos 2017: Intensive Survey on the Milesian Peninsula. Heritage Turkey 7: 32–33. A. Slawisch, 2018. Project Panormos: Landscape Survey; 29 Mar 2018. <http://www.panormos.de/pp/survey/> accessed 22 Apr 2019.